Headlights off the dash lights up. headlights on and the dash lights may come on but can go dark after 30 minutes and all that is lit is the gear selector and digital display in the center of the instrument cluster. Use the dimmer wheel to make the display brighter or dimmer works on all the other lights, not the instrument panel. See the thread 89GT Pod Lights Out - Center Console On. Thanks - I'll start there and report back. 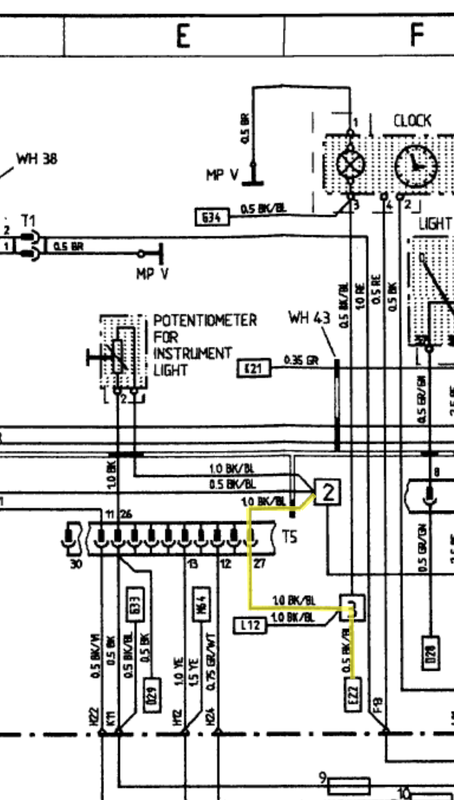 I just took a look at the wiring diagrams. What does your central locking button backlighting do when the problem occurs? You say, "Use the dimmer wheel to make the display brighter or dimmer works on all the other lights, not the instrument panel." Does that include the central locking button? The answer to that would narrow things down a bit. You should also measure and report the resistance of the caged resistor. We're interested in assuring that there's electrical continuity along the yellow-highlighted path. 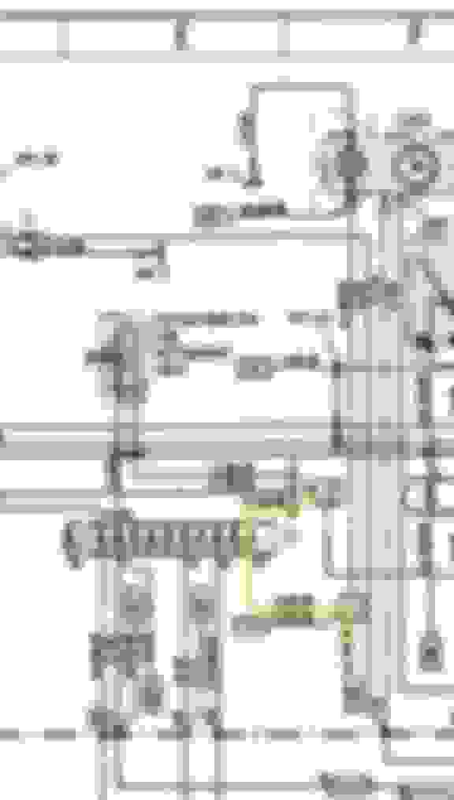 [QUOTE=Ed Scherer;15463168]I just took a look at the wiring diagrams. What does your central locking button backlighting do when the problem occurs? You say, "Use the dimmer wheel to make the display brighter or dimmer works on all the other lights, not the instrument panel." Does that include the central locking button? The central locking button backlighting working OK when the instrument cluster backlighting eliminates connector T5 as a potential problem. Also... make sure you check the "ash tray / instrument lights" fuse (it's #9 on my '90; I'm not sure what model year car you're troubleshooting). Pull that fuse and make sure the contacts are OK and apply DeoxIT if you have any. Maybe replace the fuse (or exchange it with another), just to be sure. Last edited by Ed Scherer; 11-29-2018 at 04:50 PM. And I'd like to add an oddity.... Ignition on, lights off PSD lit brightly, turn the lights on and PSD light goes almost dark. Where is the T5 connector? I'll check and clean the fuses. 10.5 volts directly on the CE panel contact @ fuse#9. That is a bit low, right? Other fuses show 11.7 with the engine off and key on. 86.5 front spacers and offset questions.